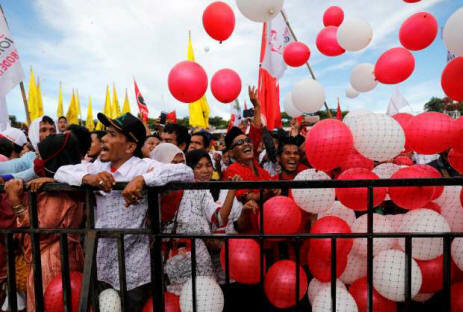 More than 192 million Indonesians are eligible to vote in presidential and parliamentary elections on Wednesday after campaigns focused on the economy, but with political Islam looming large over the world's biggest Muslim-majority nation. Sudan crisis: Protest leaders demand end of 'deep state' . Israel election: Netanyahu wins fifth term as rival concedes . How Garcia Marquez redefined Latin America?. India says to help Nepal build rail link to Kathmandu.